The original Velvet Taco off Henderson Avenue is pushing the envelope (or should we say tortilla?) in the taco world. They are shattering taco stereotypes daily with their vision of serving dishes in a tortilla. This mentality means the sky’s the limit in the taco world. From the creamsicle black iced tea and goat cheese tater tots to the WTF (Weekly Taco Feature found for a limited time), the menu is overflowing with innovative, crafty, mouth-watering combinations. 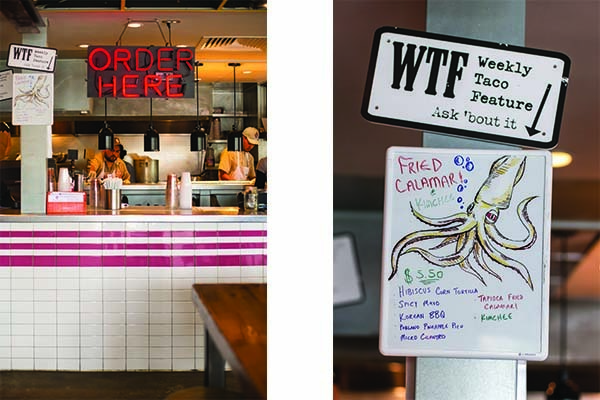 Today through May 1st, Velvet Taco visitors can order the WTF, which is the Fried Calamari and Kimchee Taco. And YES, we highly recommend it. Especially with an ice cold can of OHB DFDub on the side. 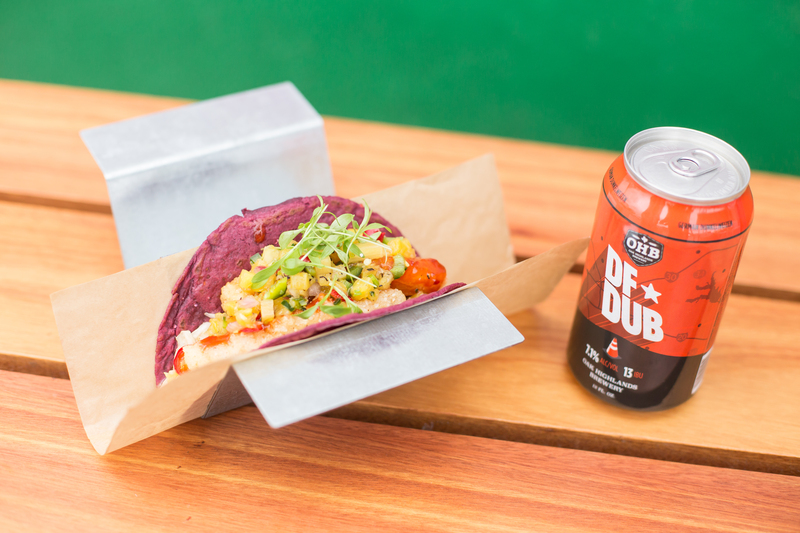 Made with a hibiscus corn tortilla, spicy mayo, kimchee, tapioca dusted fried calamari, Korean BBQ, poblano pineapple relish and micro cilantro, this taco will leave you drooling, wondering WTF just happened on your tastebuds. When hunger strikes, swing by for lunch, or stop in late (serving alcohol until until 2 a.m. daily), whatever your style, we promise the WTF Fried Calamari and Kimchee Taco is what you’re looking for.